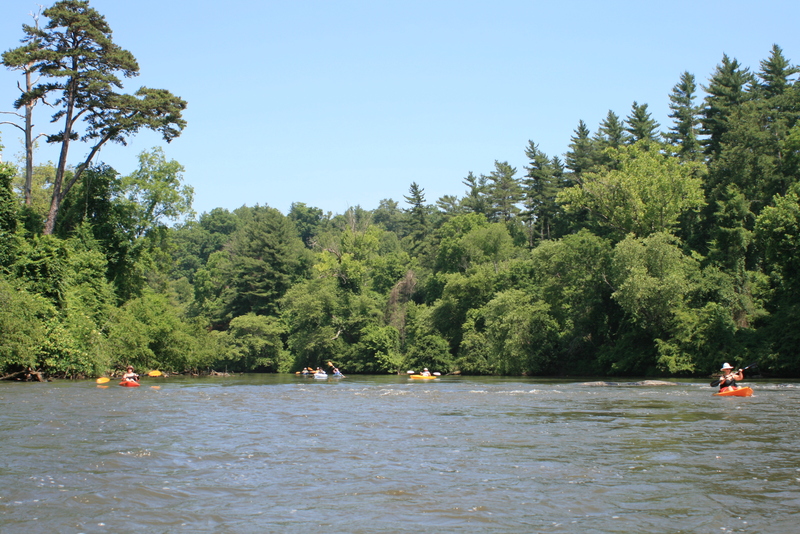 No, this is not about some French gal running around the city of Asheville, its about paddlin one of the many sections of the French Broad River – this one being from Bent Creek off of hwy 191 to The French Broad River Park in Asheville, NC. 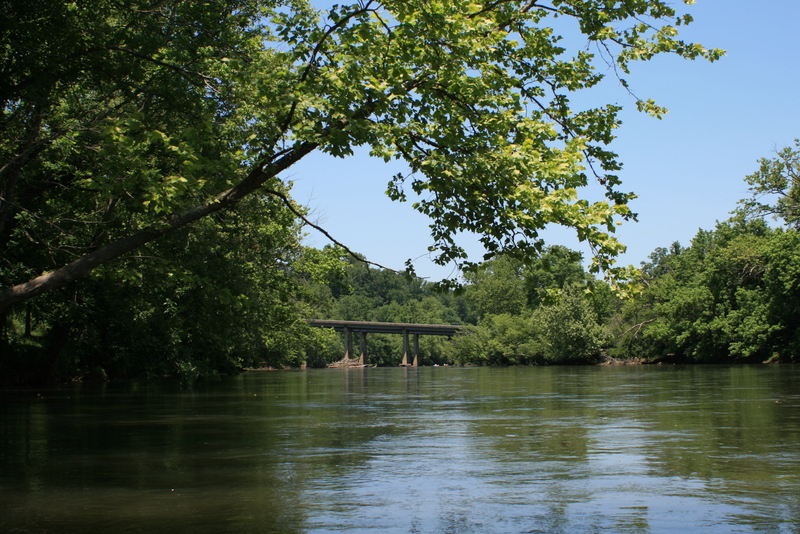 The French Broad River is about 290 miles in length, it runs from Rosman, NC. northward into Tennessee (through Douglas Lake, past UT in Knoxville, through Chattanooga) eventually spilling into the Mississippi River, one of the few rivers that flows South to North. If you catch a small drift that I’m really not a French Broad enthusiast, its just one of those things that happens when you work around something for so long – it simply gets overlooked. It is true that I am looking for a little more water clarity and natural quality, maybe just ‘new horizons’ for me. 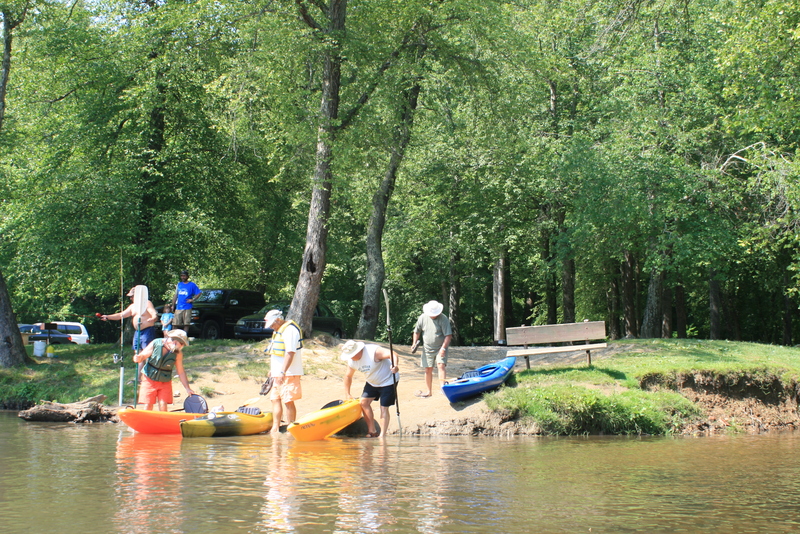 What I do recognize since paddling around the country is the potential of this river as a resource of opportunity for the local community – much ‘along the lines ‘of the Suwannee river. 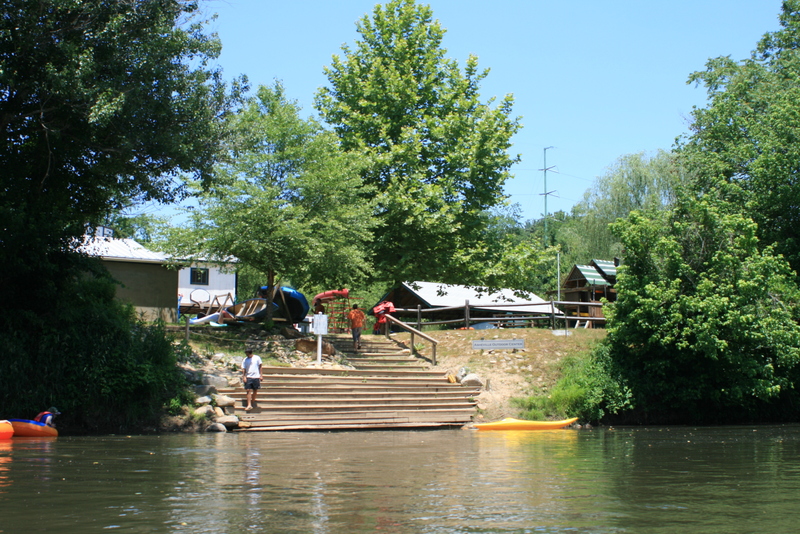 The City of Asheville has made great progress in recognizing and reclaiming their waterfront sections with the inclusion of several quality river-parks along the way – what is noticeably lacking are a few sandy egress points at the parks for paddlers, when paddling past the Carrier park on Amboy rd, you don’t even know this fine park is present. and a few friends or neighbors will take care of that. 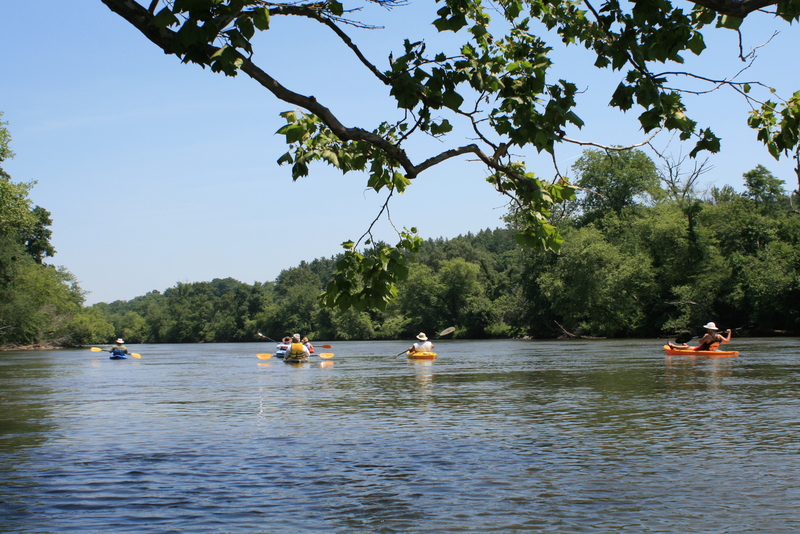 Things to be aware of within this area and most areas of the French Broad will always be with the potential of foot entrapment and glass. 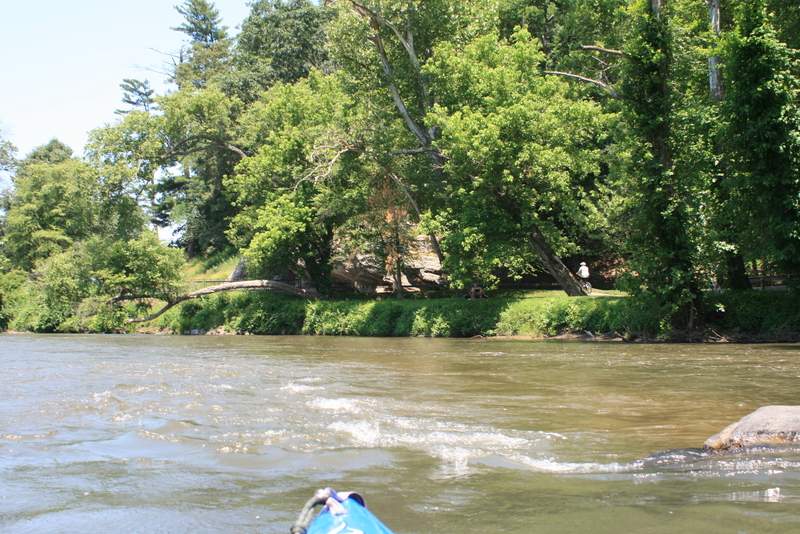 Foot entrapment’s are when your foot becomes hung up or wedged between two rocks on the bottom, usually occurring in deep or fast running water – this is where your PFD is important. 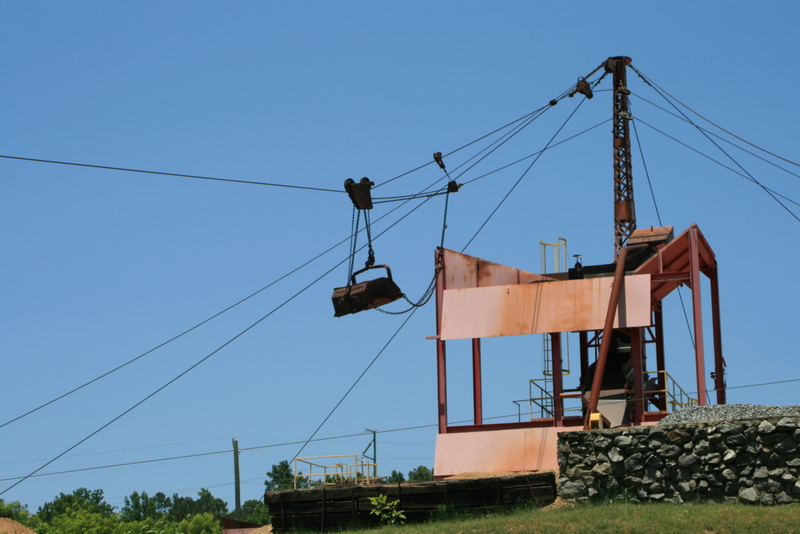 As for glass – well with an interstate and so much civilization present its always a good reason for footwear. 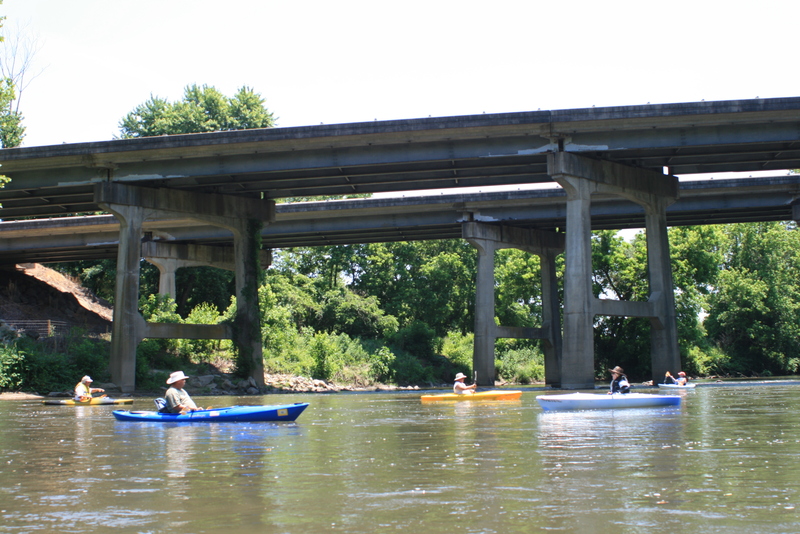 In a short distance from Bent Creek you come upon the Interstate-26 bridge and a small set of ripples beneath – at one time there was a canoe all scrunched up against one of these ‘strainers,’ a sign of the power these waters can posses. 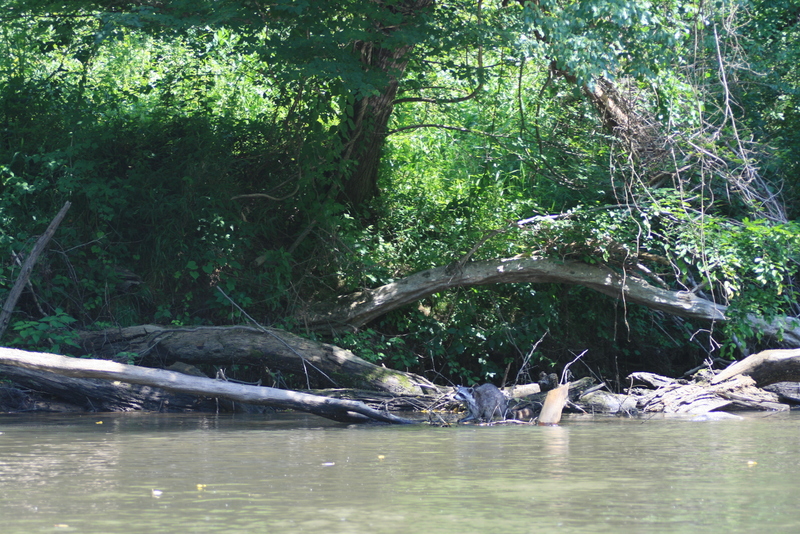 For the most part this section is simple paddling, a good place to ‘socialize’ on the water. or family of geese, on this date I bet there were eighty geese and goslings along the way. 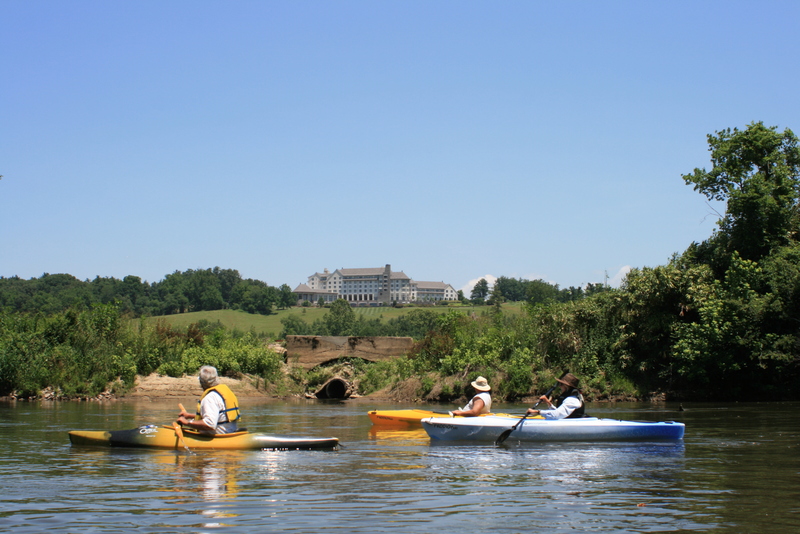 Its a paddle through the Biltmore Estate where if you stay along river-left you will eventually catch a glimpse of the Biltmore house roof, the estate’s stables are shown in the above picture. Its also a favorite area of local character, not unusual at all for fishermen to be loitering while enjoying the simple nature of their game. 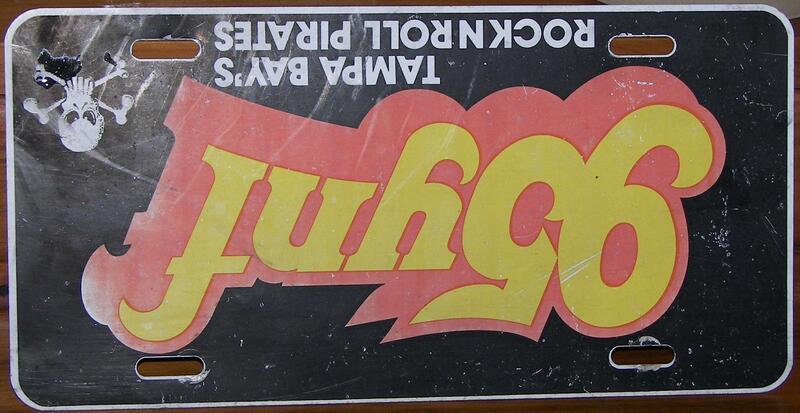 Past Asheville Outdoors, a local outfitter in which I will give mixed reviews. With the lack of egress on city parks I called Asheville Outdoors for a place to park our shuttle vehicles, they wanted five bucks per person – naaaa (a buck or two ‘landing fee’ is not unusual, free, or per vehicle is not unusual either) I would think the exposure of having folks visit your establishment (and returning) would be an incentive for welcoming those like-minded folks – at least that is what I have encountered across the country so far. 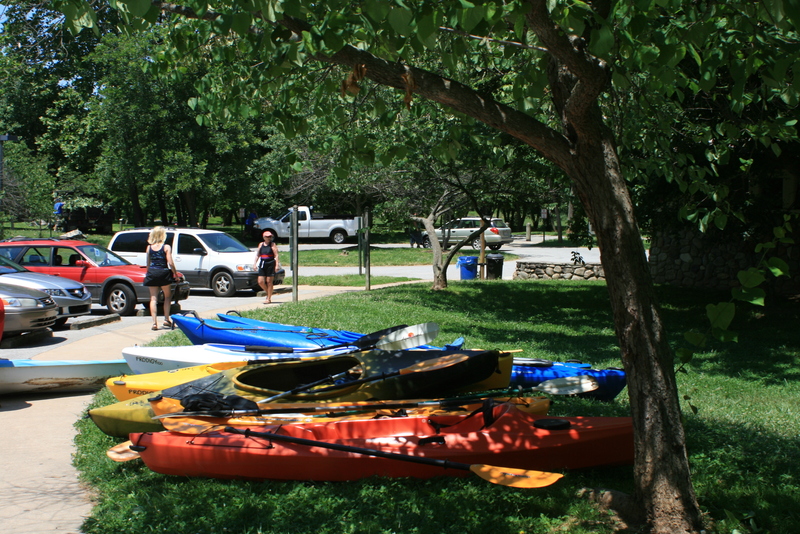 But I am a cheap guy (thats why I paddle) and understand their delima (seasonal income/taxes) and they are good folks. 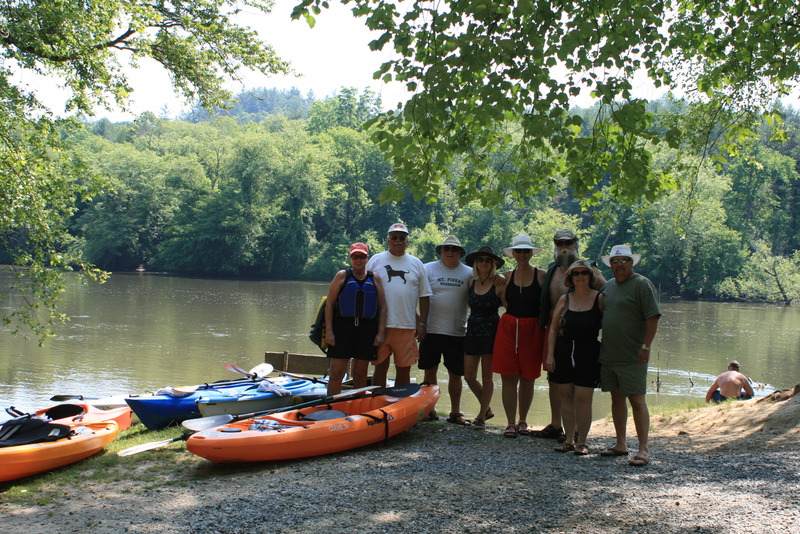 For our bunch the French Broad River Park worked just fine – plus it even provided a little more paddle time. 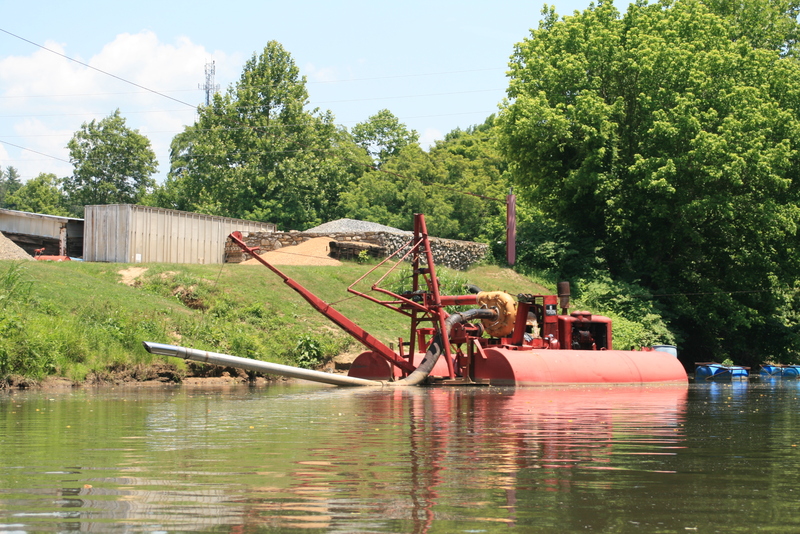 With the last benchmark being Harrins Sand and Gravel, where they’ve pulled alot of organic sand from the river over the years – a good thing. 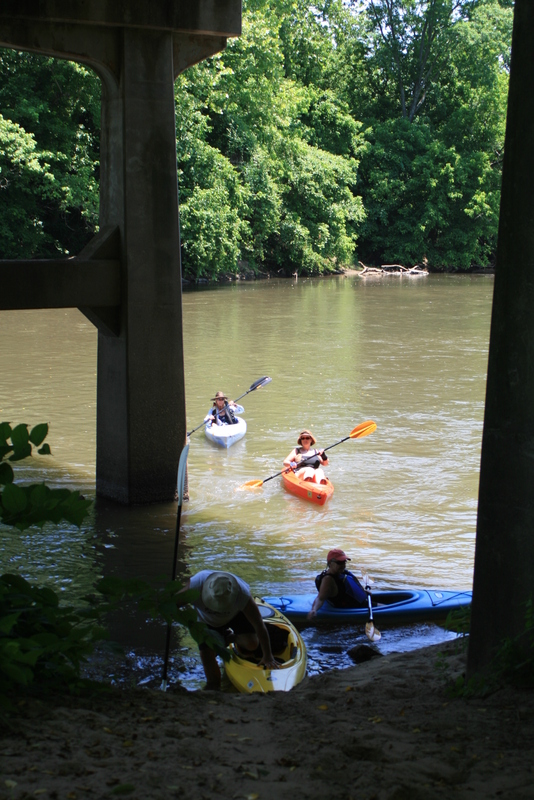 and pulling out under the Amboy Rd river Bridge at Asheville’s French Broad River Park, I think the ladies appreciated the nice rest-rooms (oh crap!) that were available. 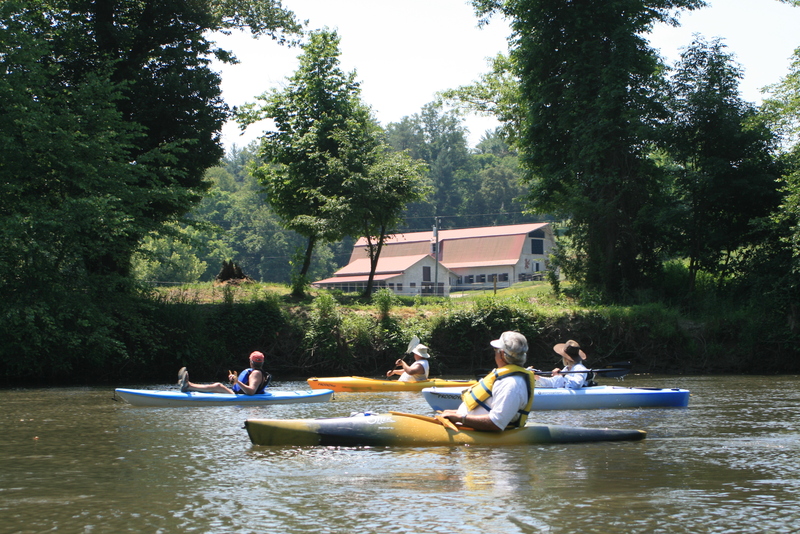 If a little longer paddle is desired, it is possible to add about three hours of similar water by starting from the Glen Bridge River Park (77 Pinners Cove rd, Arden) – from Airport rd (exit 40, I-26). 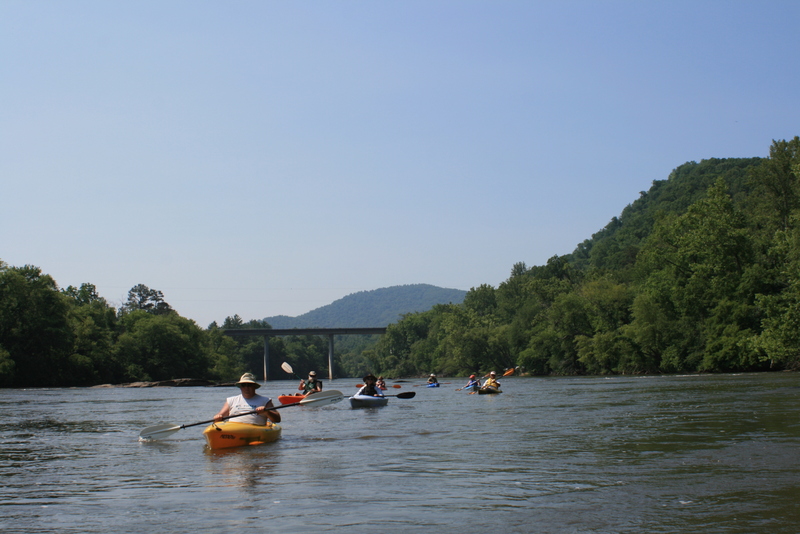 At minimum if you are in the Asheville area with a few hours to kill, this is a simple 3.5 hour ez paddle/float that will help dissolve those afternoon doldrums, I wouldn’t hesitate to take a child – if mine weren’t all grown. 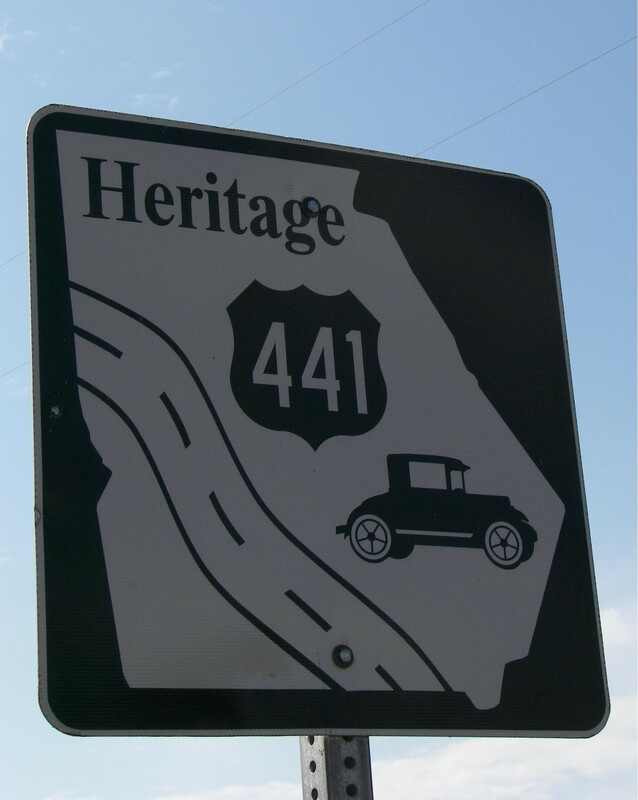 For some good ‘viddles’ afterward try the Moose Cafe, it’s along Brevard Rd at the Farmers Market and on the route back to Bent Creek for the cars. 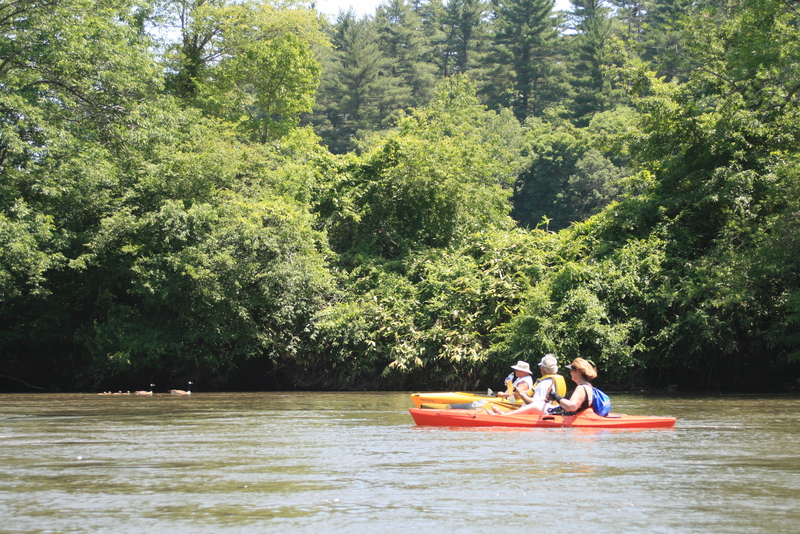 The Boomer’s enjoyed paddling the French Broad at Asheville. 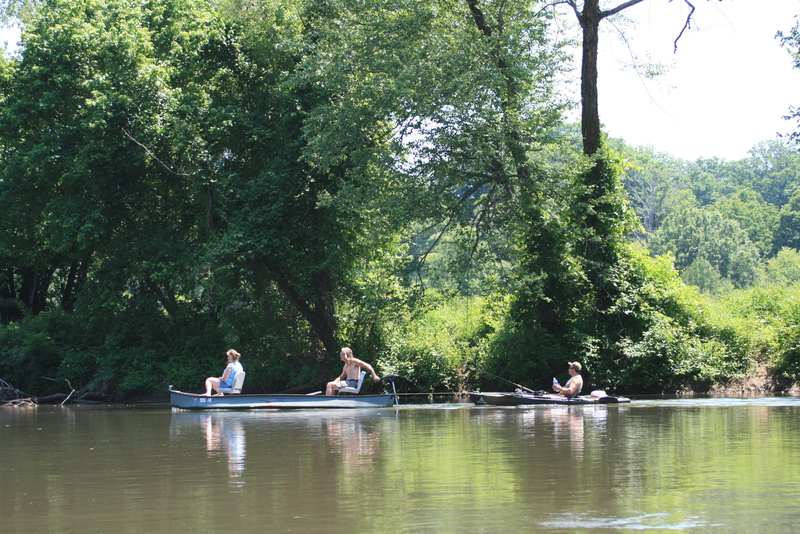 The river was calm which allowed some of the less experienced paddlers participate. Seeing the Biltmore House and acreage from the river was awesome. 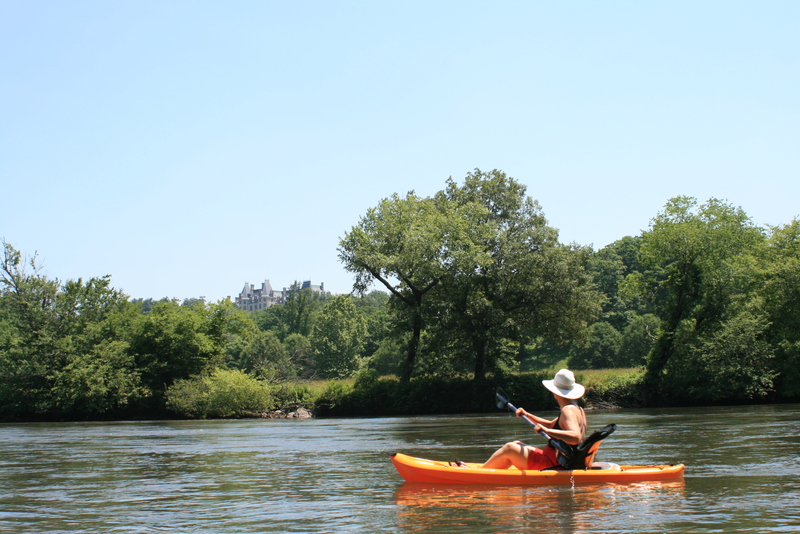 I’ve been to the Biltmore House many times and always wondered what it would be like to paddle the river. Thanks for making this trip possible for the group. 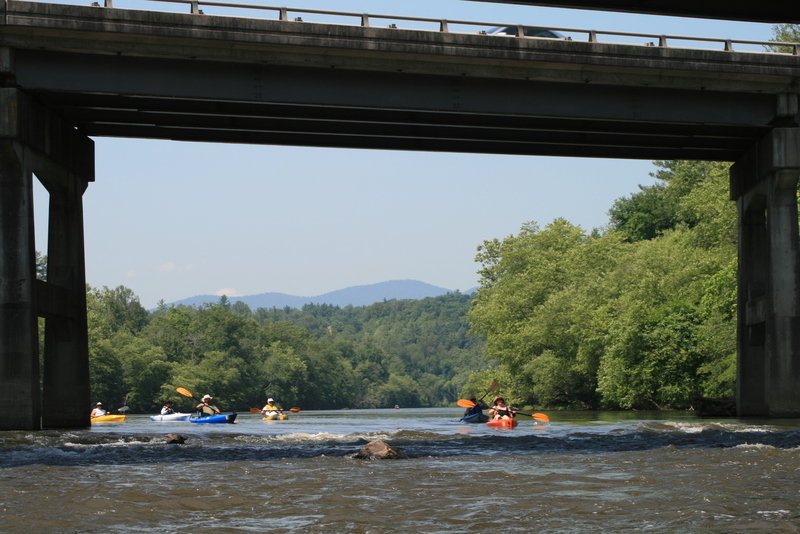 Everytime my wife and i cross the river in Asheville i ask her if she can see the French Broad. I love this blog. Keep this up. 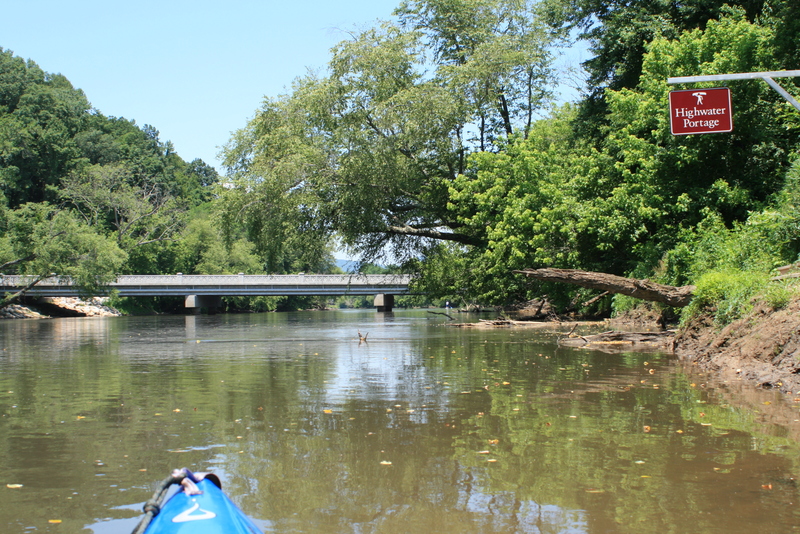 Planning a paddle point at this time -Current River (Mo.) August – others in the coming weeks. thanks tammi, it means alot – and thanks for what you guys do too…..